Plan your route, Print Your Trip & Go! We’ve got vintage toys up for grabs in our third annual Spring sweepstakes. You could win a Lehmann Wind-up Tin Bird - a great collectible piece, new in box, new old stock (NOS). Made in Western Germany 1960-1970! Our popular Global Directory of Antique Shops now features interactive "clustering" whereby shop and destination markers appear in clusters together (with a number to show the total), then in greater detail when you zoom in. Two indispensable tools for antique buyers and sellers: 'Currency Convertor' and Gold and Silver Prices, with data updated every minute. 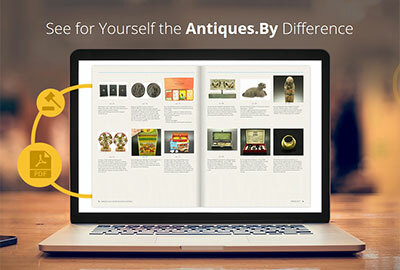 We’ve rolled out two new features on World Class Antiques to make your antiques shows and events pop! By frequent request, now you can add a PDF presentation file, along with an event image that displays right on the listing. The latest TEFAF report shows the global art market grew 7% in 2014, where post-war and contemporary art accounted for almost half of total spend. Collectible can be affordable! Did you know that vintage sheet music is not only collectible but also inexpensive? From Depression Glass to Antique Banjos, the latest issue of our magazine is chock full of history and useful tips for antiques collectors and dealers the world over! Enjoy the free, bimonthly magazine in an interactive, turn-the-page-style version online, perfect for your cool weather reading list. Often used as giveaways for consumer goods, machine-pressed, tinted glass known as Depression glassware is a very popular item with designers and vintage collectors today. More great news for Directory Premium Members! A photo gallery feature for your event listings is now avaialable at no additional cost. Great news for Directory Premium Members! A photo gallery feature for your shop listing is now live. Gold and Silver prices are based on the market bid. Data is updated every minute - just refresh the page to load the latest charts.